Healthworks Goji berries are certified organic and come from small farmers to ensure maximum quality and minimum waste. 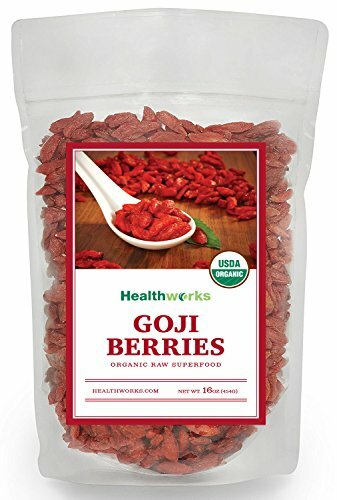 Healthworks goji berries are pure, all-natural, vegan, and gluten free. Add Goji berries to your diet and reap the benefits! Try With: Smoothies, Juices, Teas, Oatmeal, Yoghurt, Trail-Mix, as a topping on desserts, and more!